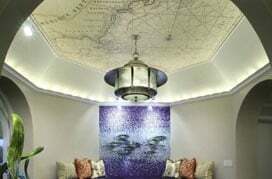 Whether you love skyscrapers, bridges, barns or tunnels, MagicMurals.com has many architectural murals for you to choose from. Select from our large collection of skyscraper murals- buildings that seem to stretch all the way to the clouds. With our selection of door and window murals you can look out your new window or door and seeing Tuscan vineyards, a busy cityscape, or a tropical paradise. You may choose to visit a beautiful castle or sit at a sidewalk café and enjoy a cup of coffee with your new architectural mural. We also have murals with great monuments and tall columns. Our collection of bridge murals includes the Rainbow Bridge, London Bridge, Brooklyn Bridge, and the Golden Gate Bridge just to name a few. MagicMurals.com prides itself in providing you with the best high quality professional images at the lowest prices. Choose from our extensive library of illustrations and photographs for your architecture wall mural, or you may decide to upload an image of your own to create that special piece of artwork for your home or business. Our easy installation guarantees ease and success with every new mural purchase. 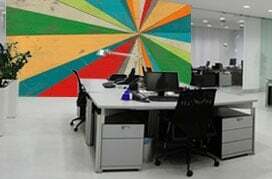 Whatever your desire, MagicMurals.com offers a large variety of architecture murals. Discover your inner architect and select the perfect mural for you. Satisfaction is guaranteed!